50 minutes of Musical Magic! 12 magical vignettes each filled with comedy, sleight of hand, and novel out-of-the-box magic never before seen. 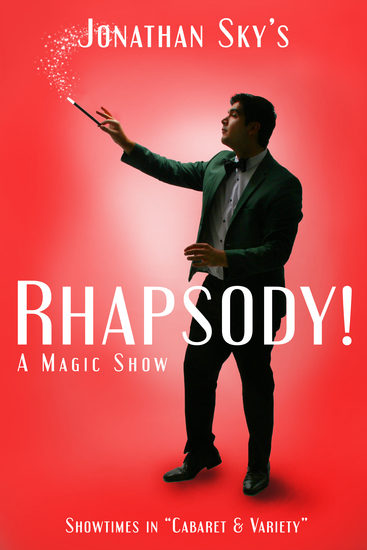 Experience the fast-paced comedy and sleight of hand of Jonathan Sky, the up-and-coming musical magician. Classic melodies underscore each illusion as audiences are immersed in the whimsical show. Enjoy a stimulating night of magical jazz, musical comedy, and art coming to life!